For Grain Warehouse, General Stores, Wholesale Distributors, Supermarkets, General Product Sellers & Grocery Stores. Grocery, grains and other general items are of daily usage and are required on a daily basis, people nowadays doesn’t have much time dropping themselves on the general store. 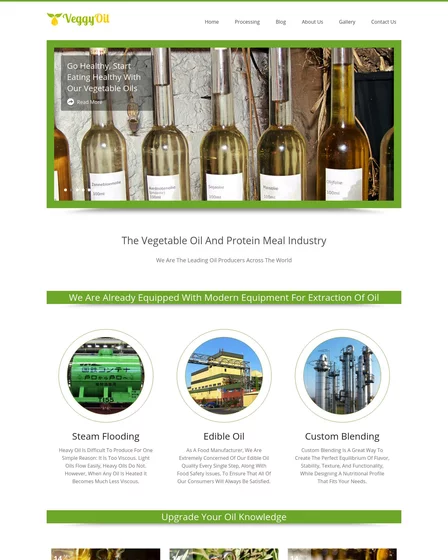 So, they prefer to shop their most of the commodities online, and one such way to allow your customers to buy products online is through GoodsMart WordPress theme. 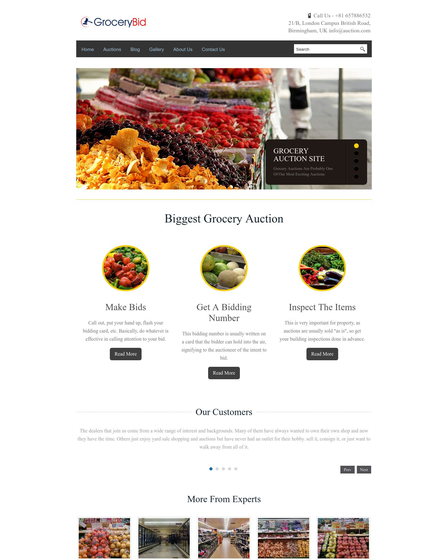 The theme is custom made for grocery stores, general stores, grain warehouse, supermarkets, wholesale distributors, general product sellers and many others from same domain can use this theme. The theme can be used to project your various general products which can attract customers to your shop, the skin also allows your customers to buy your products online, it also helps you to describe your wholesale products. 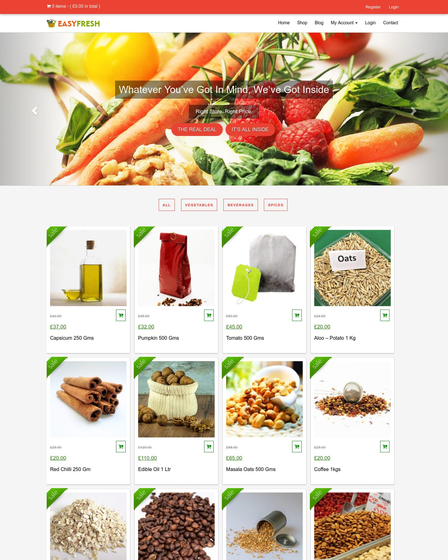 The design of the theme is coupled with WooCommerce plugin that allows you to sell daily needs products like pulses, fruits, health care items, etc. online. This plugin can be turned off via InkThemes admin panel of the theme so you can elaborate simple business website by using this theme. The formation of GoodsMart theme is built on Twitter Bootstrap framework that permits your user to take control of everything related to shopping even they are exploring your website on their mobile. A shopping cart feature of the theme allows your site user to add a varied number of items into a single cart which includes the total amount of the session, taxes and extra delivery charge. And a PayPal payment gateway channel lets your customers pay product price online. 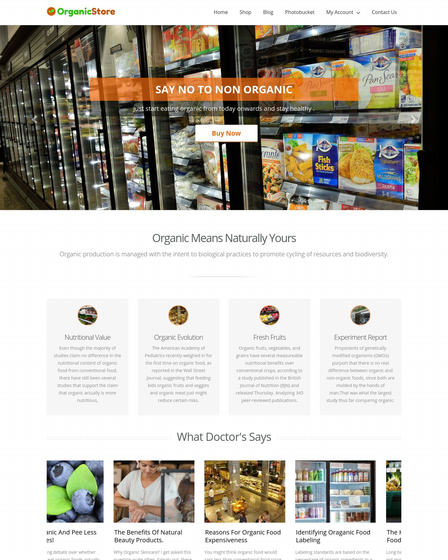 GoodsMart theme has a separate product section at the homepage where you can dangle all the healthy and fresh products along with the images and price. 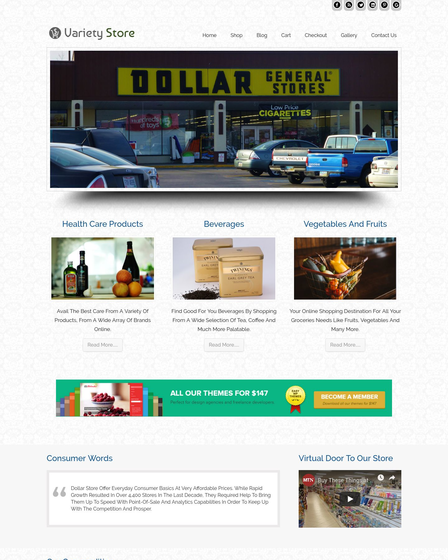 It gives a pictorial presentation of your distribution business. An Inkthemes admin panel of the theme assists you to add a limitless number of products easily. The theme is encapsulated with user registration module that allows your visitors to create multiple accounts on your website with different email id. Customers can also track current order delivery status by just log in their account.